Is your local business on Facebook? Wondering how to market your business more effectively? To explore how to use Facebook in creative ways, I interview Anissa Holmes. 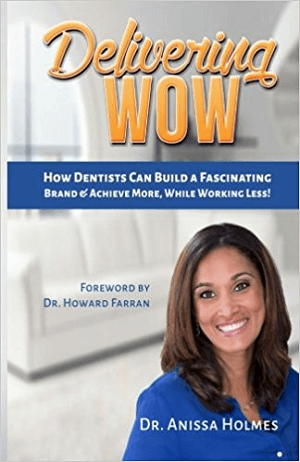 In this episode, I interview Dr. Anissa Holmes, the author of Delivering WOW: How Dentists Can Build a Fascinating Brand and Achieve More, While Working Less! Her podcast is the Delivering WOW Dental podcast. She’s a practicing dentist and teaches Facebook marketing courses for dentists. 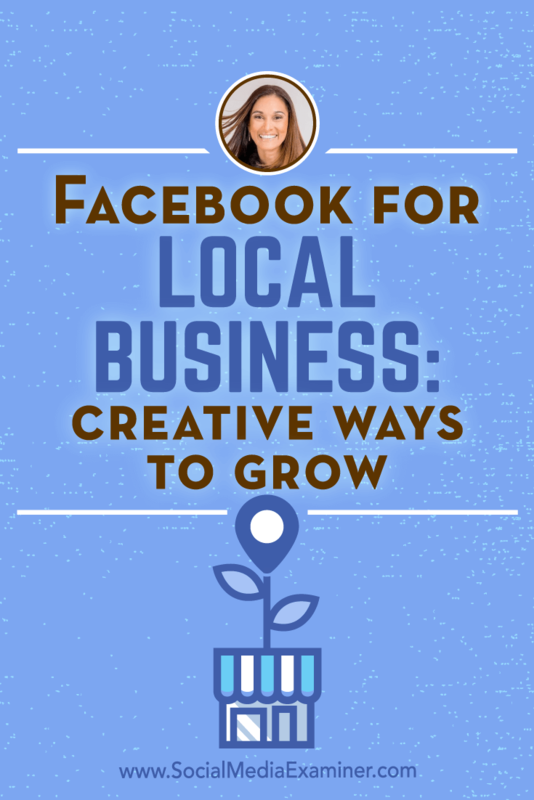 Anissa explores how local businesses can grow using Facebook. 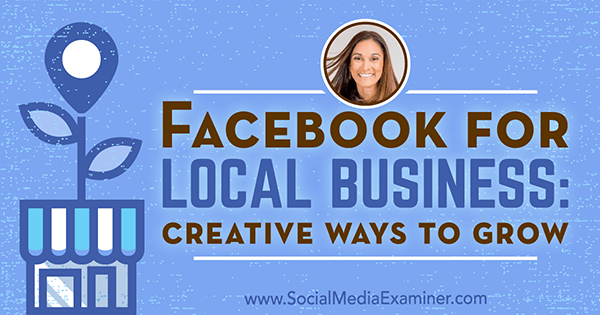 You’ll discover why Facebook is more valuable for local businesses than review websites. Facebook for Local Business: Creative Ways to Grow featuring insights from Anissa Holmes on the Social Media Marketing Podcast. After practicing dentistry in the U.S. for several years, Anissa moved to her husband’s home country of Jamaica in 2010 and started a new dental practice from scratch. 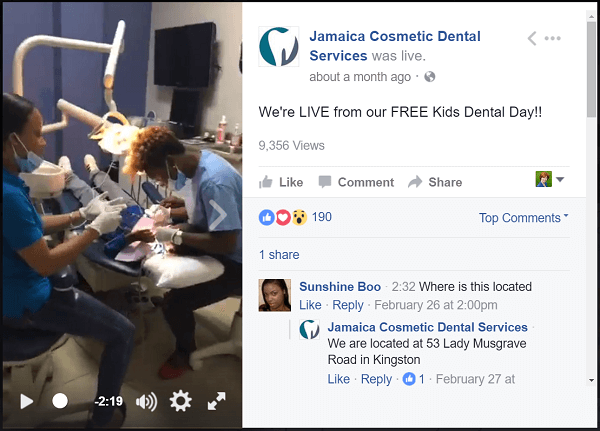 She knew most dentists typically get 10 to 15 new patients per month through referrals, but with a startup practice in a totally different country, she decided to try promoting her new practice on Facebook. In early 2010, Anissa set up a Facebook business page and began sharing what happened in the practice each day, including behind-the-scenes snapshots and stories about how the practice’s dental services were changing people’s lives. Anissa’s strategy worked. Her practice began getting 5 to 10 new patients a month. Anissa figured she was onto something and began buying Facebook ads. As the Facebook algorithm changed, she made adjustments. Her practice now spends about $500 a month on Facebook and those marketing efforts attract about 50 new patients every month. Delivering WOW by Dr. Anissa Holmes. With such outstanding growth, the practice’s revenue tripled, and Anissa’s practice was able to pay for a new office with three times the space totally out of profits. The practice is debt-free and so is Anissa. She shares that this financial success and security is a result of the business growth she achieved through Facebook marketing. After dentists started asking Anissa how her practice was achieving those crazy results, last year Anissa created a Facebook course and began lecturing to dentists all over the world about Facebook. The journey has been interesting, Anissa says, and she attributes the success to Facebook. When new customers come in, they already know the practice and how it can solve their problems. They’re already connected and ready to make a purchase. Listen to the show to learn more about Anissa’s background. If your new customers hang out on Facebook, Anissa says, that’s where you need to be. People aren’t hanging out on Yelp or Google. Most people (including Anissa) check Facebook first thing in the morning, between daily tasks, and in the evening. That’s why Facebook marketing needs to be your focus. Anissa says creating the right content is important. A lot of businesses post information about how great they are and share a lot of stock content, but Anissa says that really doesn’t work. She stresses that local businesses need to share their story and what makes their business unique. 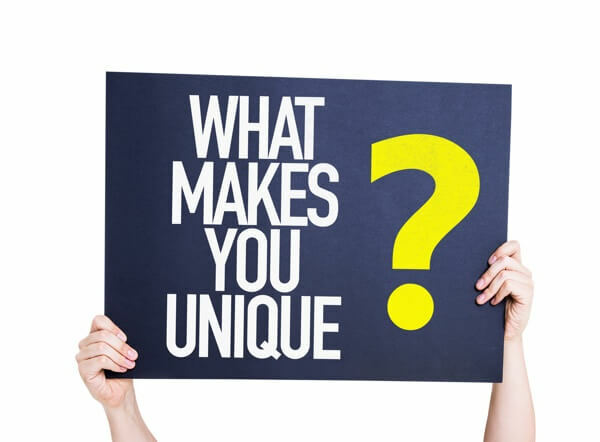 For example, if you have a plumbing company, what are you offering that’s different from everyone else? To compete with photos of kids, community happenings, and articles, Anissa creates engaging posts that connect with people and make them want to click, including content about community impact and what her practice does to change patients’ lives. Anissa also shares testimonials. She suggests local business owners ask their happy customers to share their stories. For example, you can do a Facebook Live video and then retarget your audience with a video campaign. Regular and live video testimonials on Facebook are effective for any business. Anissa also stresses knowing your target audience. You want this audience to see your posts. Anissa suggests being specific with your targeting. For example, Anissa’s target market is people who have a little money, are established, and in their 30s or 40s, and Facebook is where they hang out. Even with the right content and target audience, you can’t just put up a post and hope people see it, Anissa continues. You need to be strategic. Retarget to people who have been to your website, your existing customers, Facebook lookalikes, and so on. To get conversions, you need to make the most of Facebook’s marketing tools. 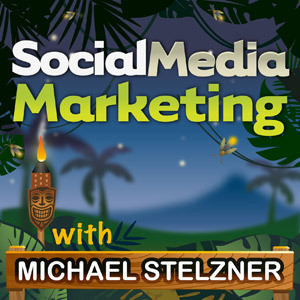 Listen to the show to hear how the posting strategy for online businesses differs from local businesses. Anissa says if you want to grow your business, you need to think about how you want your business to be known. Focus your marketing on what sets your business apart from competitors. To start, Anissa suggests you determine what makes people want to choose your business and not someplace else. For example, if you have a jewelry business, will all of your marketing pieces say that you sell jewelry, or do you offer something unique? Perhaps you offer a service where you will call husbands every time it’s their wife’s birthday. Anissa’s dental practice markets to people who are fearful, she explains, so the practice offers complimentary hand and arm massages plus headphones and iPads to take away the sound. Their marketing pieces emphasize these services. The practice doesn’t promote tooth fillings, cleanings, and root canals, although the practice does those things. Instead, their marketing talks about patients and the experience patients will have at the office. Anissa emphasizes that anytime you’re marketing on Facebook or elsewhere, you begin by highlighting little features that make your business special. Figure out what makes your business unique and focus on that in your marketing messages. Anissa creates posts that highlight how her business is unique. To weave stories into your marketing messages, Anissa suggests using customer testimonials. She says her practice shares customer testimonials all the time, and they’re the best way to grow any business. Anissa says your marketing stories can target extremely specific sets of people, especially a very warm audience. For example, her practice ran a Facebook ad for teeth whitening that has provided a 5,000% ROI. Instead of simply targeting people within 10 miles of the practice, Anissa showed the ad to women who met specific criteria. The teeth whitening ad appeared to women who are engaged, are between the ages of 24 and 55, and have interacted with the dental practice in some way. Narrow your Facebook targeting to increase your ROI with Facebook ads. Anissa used several Facebook targeting features to show the ad to women who had interacted with her practice. With a Facebook custom audience, Anissa targeted existing patients. She used a Facebook lookalike audience to target women who are similar to the audience of existing patients. Anissa also showed the ad to women who have visited the practice website or followed the Facebook page. Anissa says they began running the ad in December (this podcast was recorded mid-March), spent about $150, and have gotten about $8,000 worth of teeth whitenings from the ad. Listen to the show to discover what people say in their testimonials about Anissa’s business. 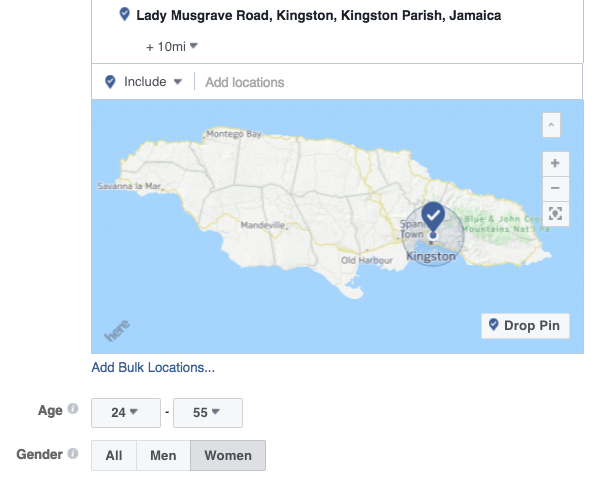 Anissa says the Facebook Wi-Fi feature is really cool because whenever someone enters your business and connects to your WiFi, the feature displays your business’s Facebook page and prompts them to check into Facebook. At that point, to connect to your WiFi, they can either enter a password or check in on Facebook. Anissa says nearly every one of their patients checks in. When people check in on Facebook, a post appears in their news feed, saying they’re at your business. Anissa says the check-in prompts their friends who are looking for a dentist to start asking questions and having conversations about her business. She says that conversation is like amped-up traditional word of mouth. Also, when people check in, they can enter text or leave a review for the business page. Anissa says her practice asks patients to use that space to write a review if they’ve had a great experience. 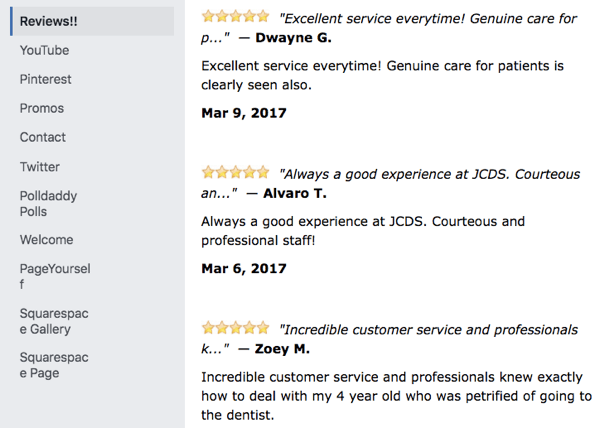 She explains that the review helps her practice grow and connect with other people who are perhaps fearful or looking for a dentist. Her patients are happy to do it. Facebook reviews can help your local business grow its customer base. Anissa says you can find information online about setting up Facebook Wi-Fi and identifying the approved routers. Also, the Facebook Wi-Fi service is free. Listen to the show to hear why I think Facebook Wi-Fi is so awesome. Anissa says that although her practice does a bit of advertising, most of their Facebook posts are organic and the practice posts several different types of content. When someone needs to cancel an appointment, her practice uses Facebook to run a last-minute promotion. For example, say a mom has to cancel her three kids’ appointments at the last minute. Anissa posts on Facebook that the first three people who call get 50% off their treatment that day. These people wouldn’t have come otherwise, she adds. Any local business can do something similar. So if your business services cars and is having a slow day, put up a promotion on Facebook: “Anyone who comes in today can get 50% off an oil change.” After they arrive, you provide an amazing experience so your guest becomes a lifelong customer and tells other people about you. Anissa stresses that the cycle of promotions and referrals helps build her business. Facebook is the second most effective way her practice attracts new patients. The first is existing patient referrals. However, many of those patients discovered the practice through promotions. Anissa regularly creates promotions to share on her page. Anissa will also post videos and images that show how the practice facility is unique. For instance, a video might give people a tour of the office. Because the practice does complimentary hand and arm massage, a picture of the towel warmer can show how amazing patients feel after their treatment. Anissa also suggests highlighting your employees and how you’re affecting the community. A few weeks ago, the dental practice treated 100 kids for free on a Saturday. They promoted everything solely through their Facebook page and got lots of engagement. The event was huge because it was a social campaign. The dental practice’s kids day was promoted on Facebook through images and videos. Anissa says she always challenges business owners by asking, “How can you impact the community in ways that evoke emotion? 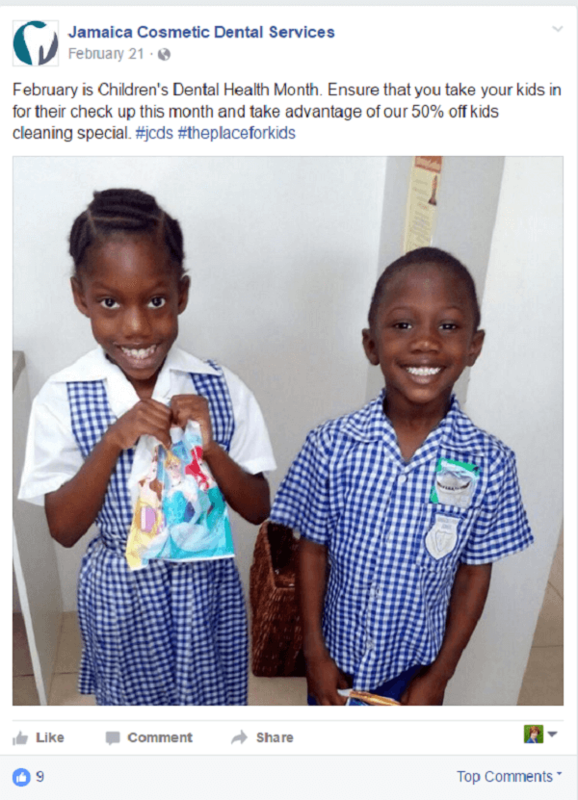 How can you give back?” People love to see that, and as a result, will share it. They’ll connect with your business, go to your website, and then come in as a customer. Listen to the show to discover Anissa’s tips for getting started. Anissa says video, especially live video, is a great way for your Facebook content to get organic reach. To find a topic, Anissa suggests an interesting behind-the-scenes feature that piques people’s interest. For instance, one of Anissa’s students shared a Facebook Live video of milling a crown. A restaurant might show the chef making an amazing dessert. A jewelry store can show how custom wedding bands are made. You don’t need a big crew. Just do a Facebook Live video. We’re LIVE from our FREE Kids Dental Day!! I also ask about Anissa’s thoughts and best practices for getting testimonials. Anissa says the practice has different touch points with their patients. For example, both the hygienist and then Anissa ask, “How was the experience?” When patients check out at the front desk, they’re asked the question again. At that point, Anissa says patients often feel like they’ve had the best trip to the dentist they’ve ever had. If the patient responds positively, the person at the checkout desk asks, “Would you mind doing a video testimonial to share your experience for other people who might be looking for a dentist and are fearful?” And they say absolutely, Anissa says. Anissa says people don’t feel offended when asked. At her practice, they frame the question to emphasize that the testimonial can help other people. When you ask someone to do a testimonial, Anissa recommends that you tell the customer your objective for using the testimonial. Listen to the show to hear what I love about Anissa’s video testimonial strategy and the other things you can do with video testimonials. For example, if checking major social networks is one of your daily tasks, TabCloud can help you open those sites quickly and easily. To set up the group, set the tabs for Facebook, Twitter, Instagram, and any other sites you need such as your social media management software. Then give the group a name, such as Social Channels. After you set up the group, you simply click its button, and all of those websites open in your browser. 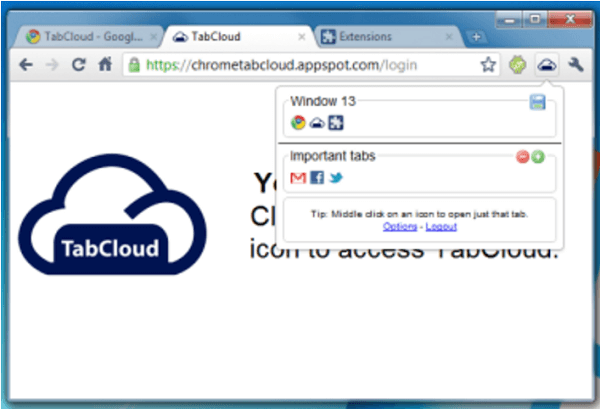 You can also sync TabCloud with other browsers and use the website favicons for easy recognition. TabCloud is a browser extension for Chrome and Firefox, as well as an Android app. The iOS app is coming soon. Listen to the show to learn more and let us know how TabCloud works for you. Learn more about Anissa on the Delivering WOW website. Listen to the Delivering WOW Dental podcast and read Anissa’s blog posts. Read Delivering WOW: How Dentists Can Build a Fascinating Brand and Achieve More, While Working Less! 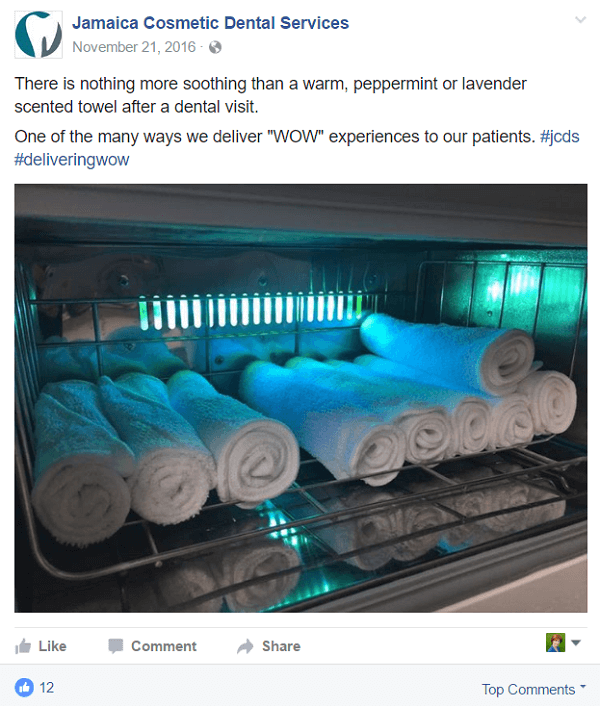 Visit the Jamaica Cosmetic Dental Services and Delivering WOW Facebook pages. 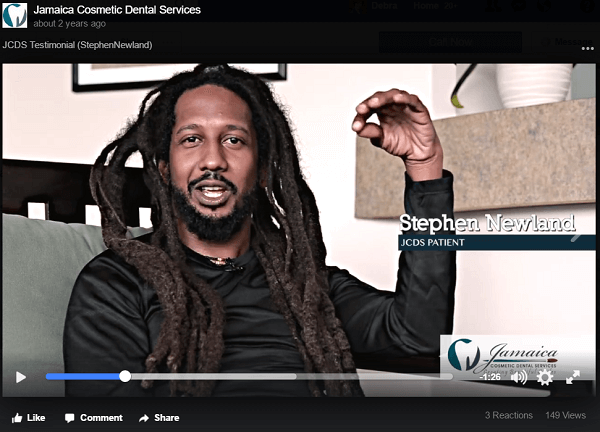 Watch the Jamaica Cosmetic Dental Services videos. Learn more about Facebook Wi-Fi. What do you think? What are your thoughts on Facebook for local business? Please leave your comments below.